There is absolutely no shade on this trail. 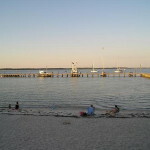 Make sure to apply sunscreen unless you choose to do this ride in the early morning or late afternoon. 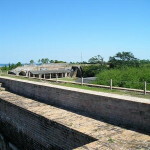 Be sure to bring along a helmet since a large portion of the trail is shared with motorized vehicles. Take Interstate 10 either east or west (depending on your location). 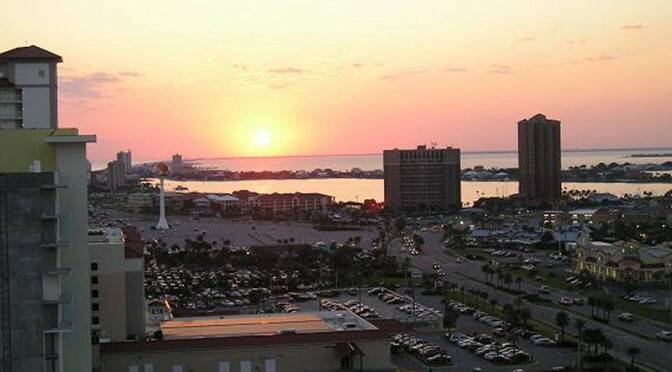 Take the Interstate 110 exit south to Pensacola. 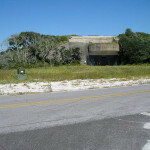 Take Highway 30/US Highway 98 East and then South across Pensacola Bay. 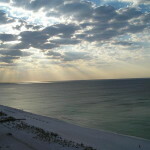 Head south on Highway 399 Pensacola Beach Boulevard. 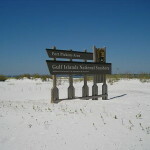 Where Pensacola Beach Boulevard becomes Via Deluna Drive, you will see the parking area for the Pensacola Beach Gulf Pier. 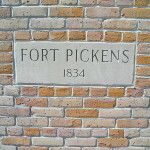 This is where I began my ride. 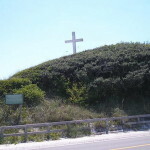 The trail is 21 miles – from the Pensacola Beach Gulf Pier parking lot out west to Fort Pickens and then looping back to the Pensacola Beach Gulf Pier parking lot.. 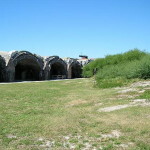 The eastern part of the trail runs along Fort Pickens Road as a separate trail for about 4 miles. 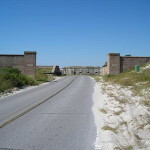 At a large parking area, there is a dedicated bike lane the rest of the way to Fort Pickens. 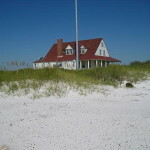 There are many opportunities to head off to the beach front on either the north or south side. 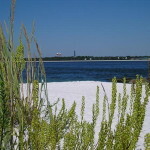 Sunglasses are a definite necessity as the sand is extremely white and reflects quite a bit of glare on a sunny day. 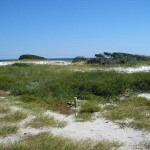 Wading birds abound and be sure to explore the fort grounds. 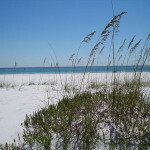 A beautiful ride in the Florida panhandle. 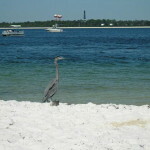 There is a lot to see and do along this pristine stretch of the Florida Gulf Coast. 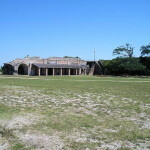 There are facilities just before the entrance to Fort Pickens proper and then again on the the Fort Pickens grounds. 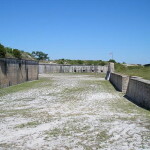 As you near Fort Pickens, the sand can obscure the shoulder. 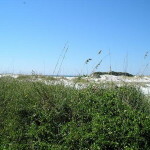 Since it is a tourist area, the dedicated trail portion can be frustrated. 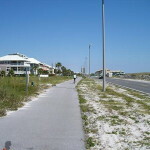 There are a lot of pedestrians walking the trail that are oblivious to approaching riders. 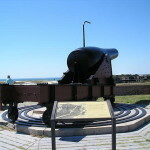 The fort and its history. 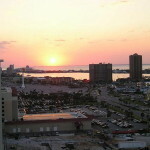 Pensacola Bay to the north and the Gulf of Mexico to the south. Send me an email. I would love to hear from you!